One fine Sunday morning in January, my two friends and I went to attend Joey Yap's feng shui seminar at KL Convention Centre. The seminar was scheduled to start at 10am but we were already in KL by 8.30am. Why did we go to KL so early? To get the best seats at the seminar? Not at all. We went early for our breakfast! It was a whole day seminar and we needed to fill our stomachs first! So we woke up early and I drove my friends to Yut Kee Restaurant at Jalan Dang Wangi. We ordered lum mee. It was delicious! Although we were early, there were already many people having their breakfasts there! We ended up sharing a table with a couple and their two children. Sharing table (or tap thoy in Cantonese) is a common practice in Yut Kee, which reminded me of how the people do it in Hong Kong. 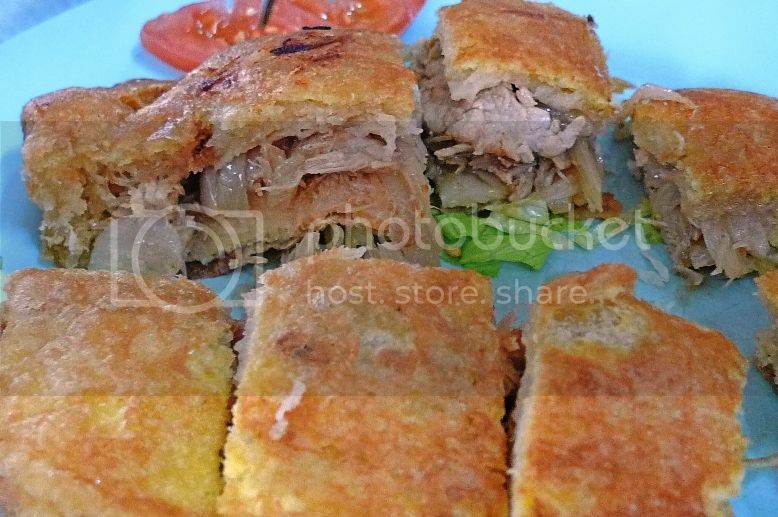 We also ordered a plate of roti babi (bread with pork) to be shared among the three of us. My friend cut the piece of bread into a few chunks. 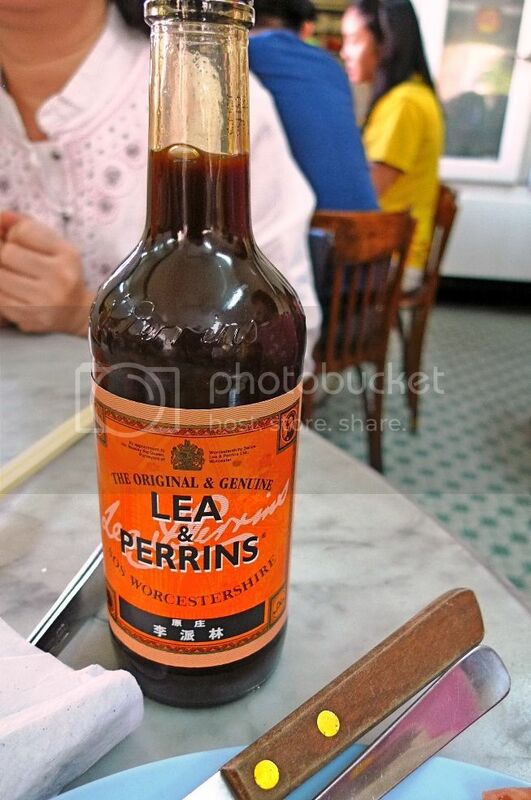 We ate the roti babi by dipping it into Lea & Perrins Worcestershire sauce. 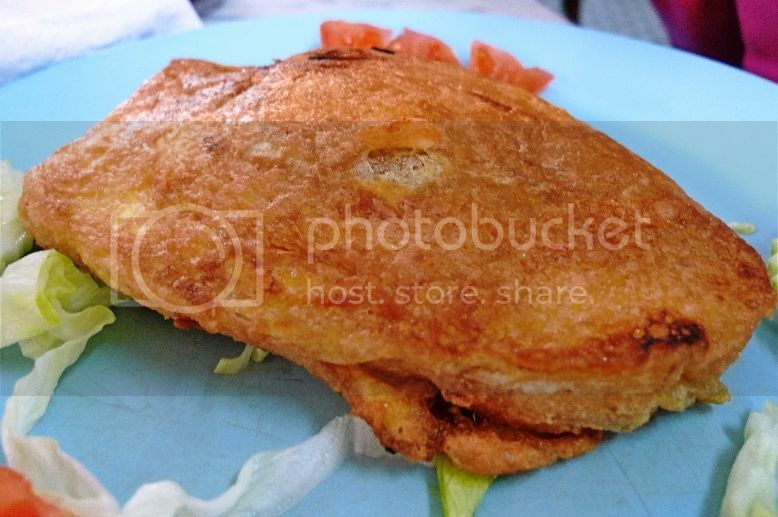 This is a must when eating this bread. Ooh so yummy!! 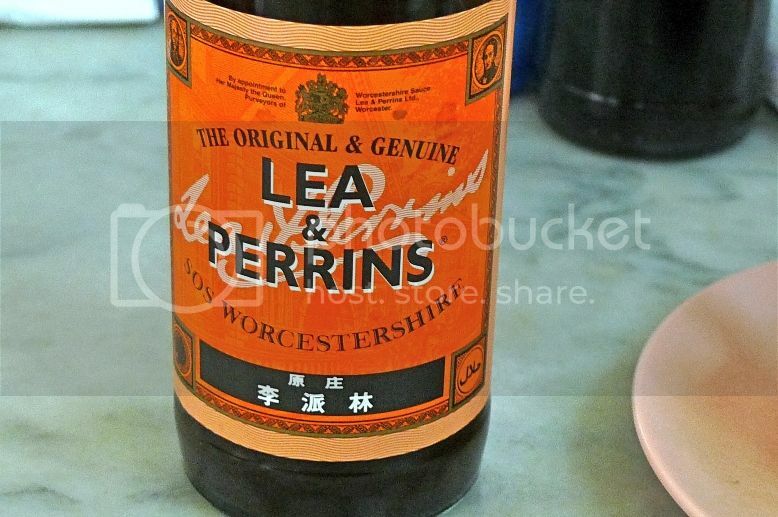 I am not sure if I have eaten imitations, but this Worcestershire sauce at Yut Kee was the original one from Lea & Perrins. Yut Kee is an old school Hainanese restaurant that has been operating since 1928. It is so famous that even my parents knew about it. I heard recently that the restaurant would be moving out of the building as the landlord had plans to develop the place. Read about it HERE. There were a lot of delicious food I wanted to eat like toasted bread, half boiled eggs, kaya roll, butter cake, beef noodles and roasted pork (gosh, all so yummy!!) but I guess the Lum mee and roti babi were enough to keep me full until lunch that day. After a whole day feng shui seminar with Joey Yap, my friends and I decided to go over to Petaling Street for our dinner. 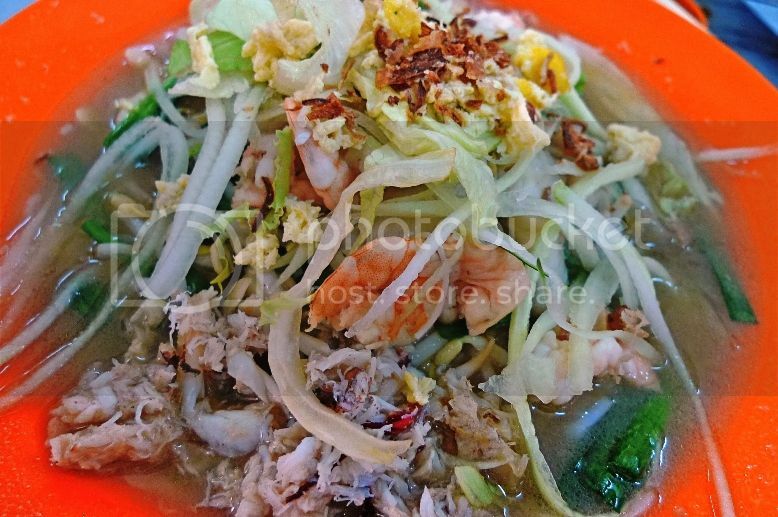 We went to Koon Kee Restaurant at Jalan Hang Lekir for their famous wantan mee. 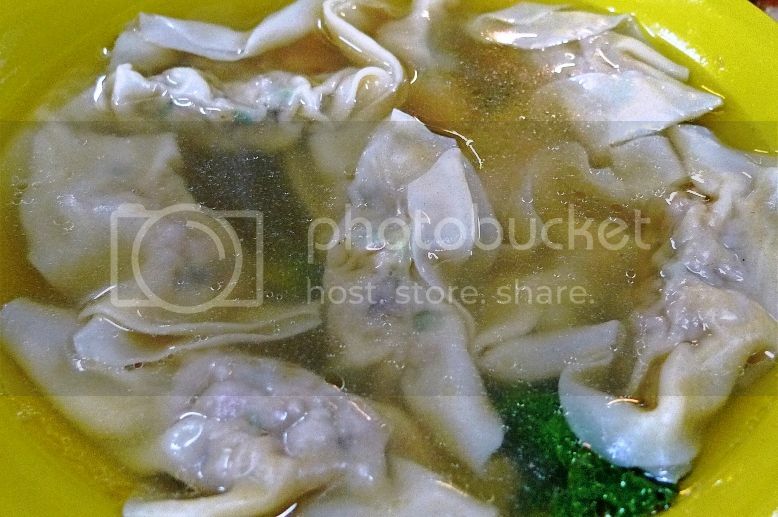 Do I spell it as wantan or wanton mee? Maybe I should just stick to wantan since wanton is not a very positive word in the English language! Anyway the wantan mee at Koon Kee was delicious! The mee was springy, which was how I like it best! I never like soggy mee - all my mee and noodles must be cooked "al-dente", even instant noodles! Haha! The char siu (roasted pork) was also juicy and succulent. Absolutely yummy! The only problem was, they ran out of pickled green chilies which to me, is a must when I eat wantan mee! 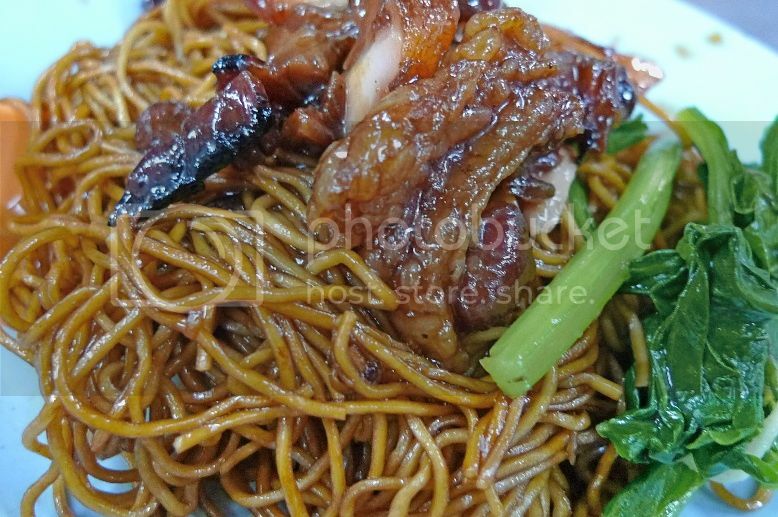 What a pity for that plate of wantan mee would have been perfect! 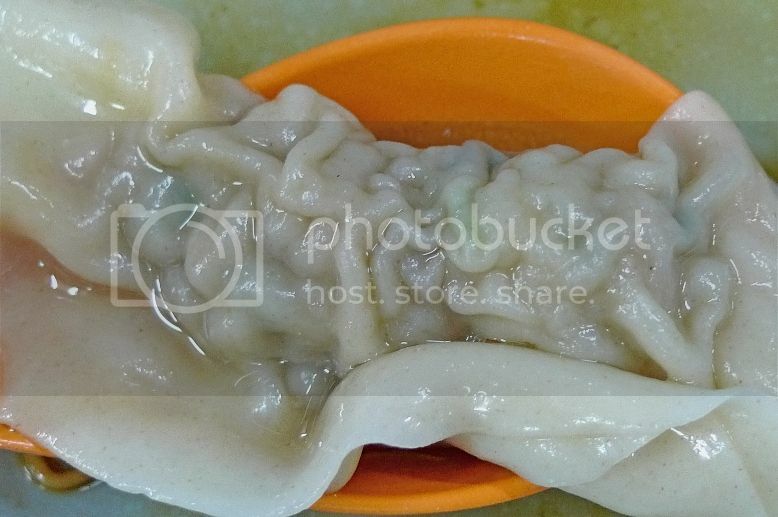 We had a bowl of sui gao (or pork dumplings) to accompany our wantan mee. The sui gao was so yummy I am having a hard time not drooling looking at this photo now. Koon Kee was also another very old restaurant, started way back in 1947 by a couple from Guangdong, China. My parents told me they have eaten there many times during their younger days. After this very satisfying dinner, I went to get myself a cold air mata kucing (longan with rock sugar) drink at the famous stall near the Koon Kee restaurant. I did not take a photo of the stall but if you go to Petaling Street and ask around, I bet people there will point you to the right direction. OK, I have covered breakfast and dinner. What about lunch? I did not forget about lunch of course, but that would be another post for another day. Meantime, if you'll excuse me, I need to raid my fridge for FOOD! !